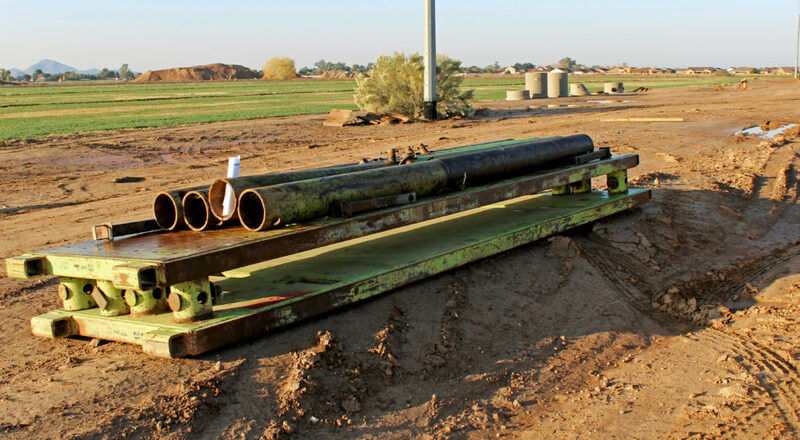 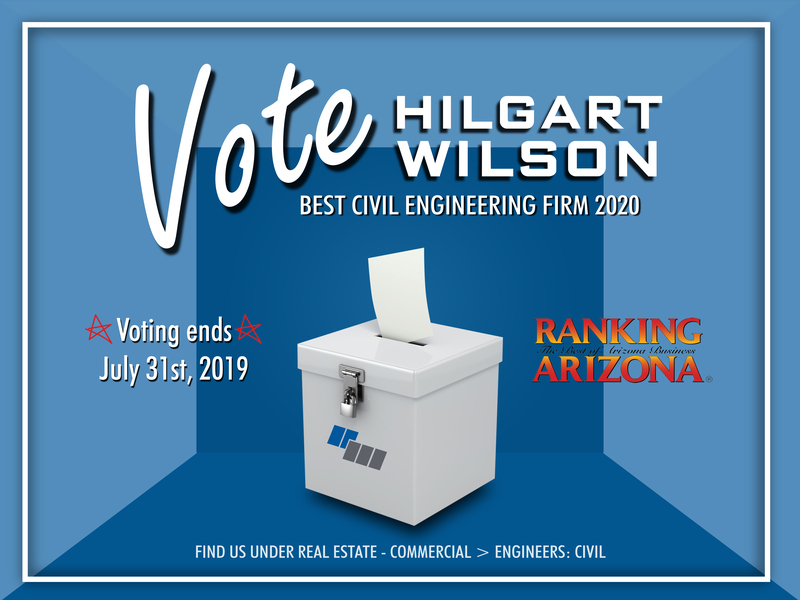 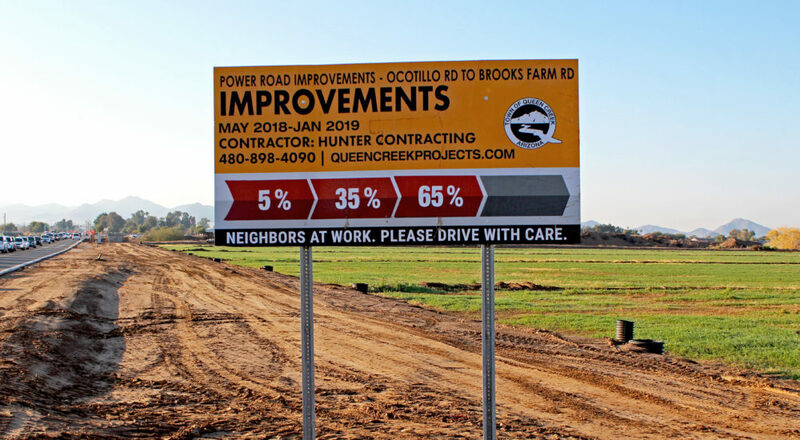 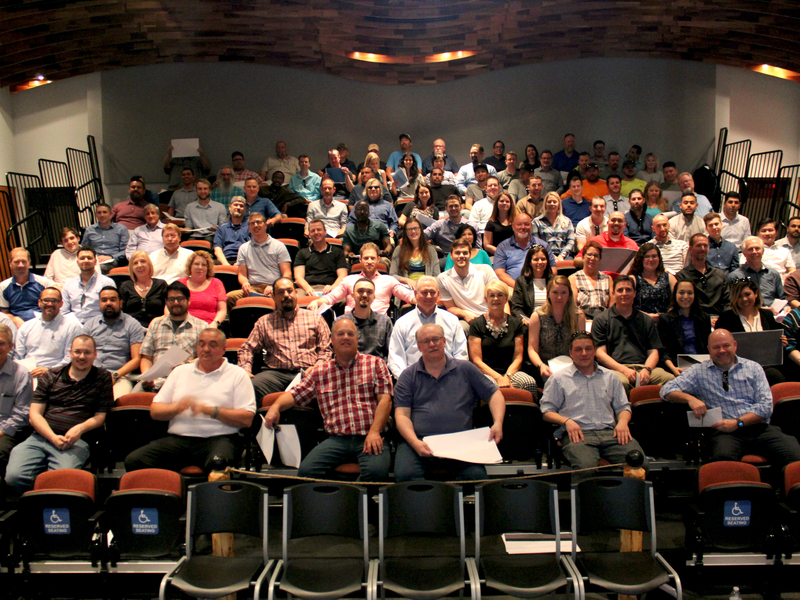 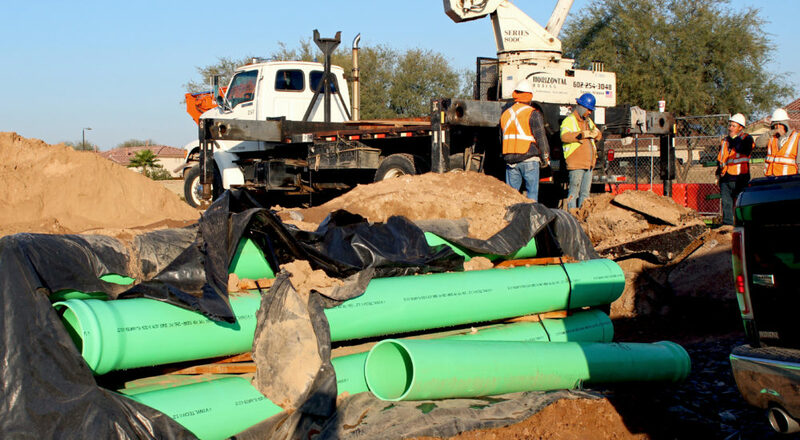 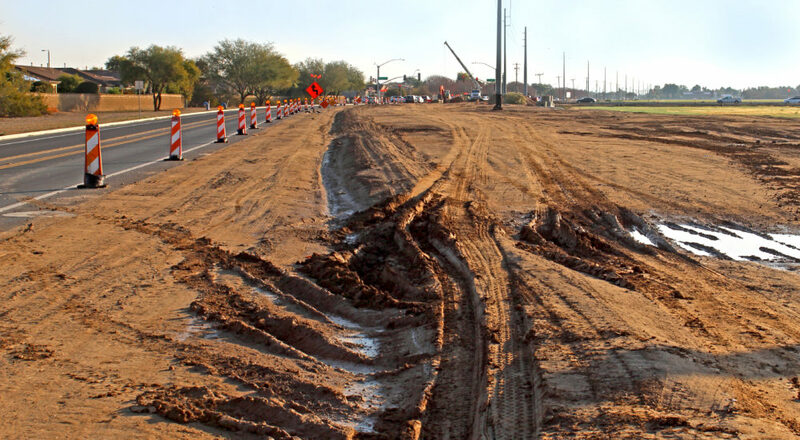 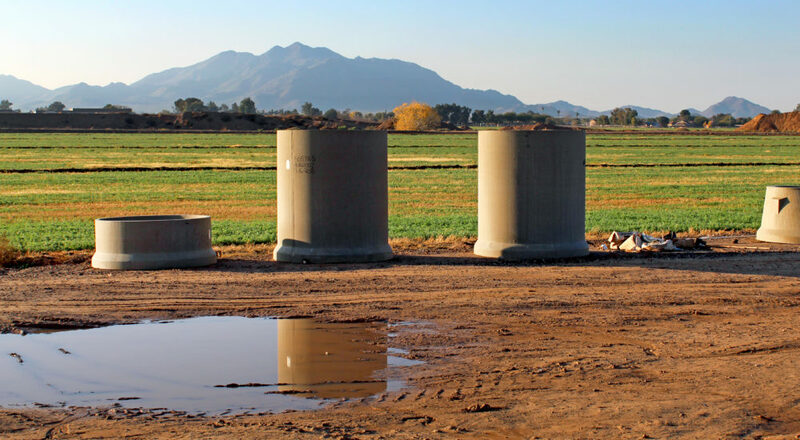 Through our on-call contract with the Town of Queen Creek, our Water Resources Team designed 1,450 linear feet of 12″ sewer main extension on Ocotillo Road just west and crossing Power Road. 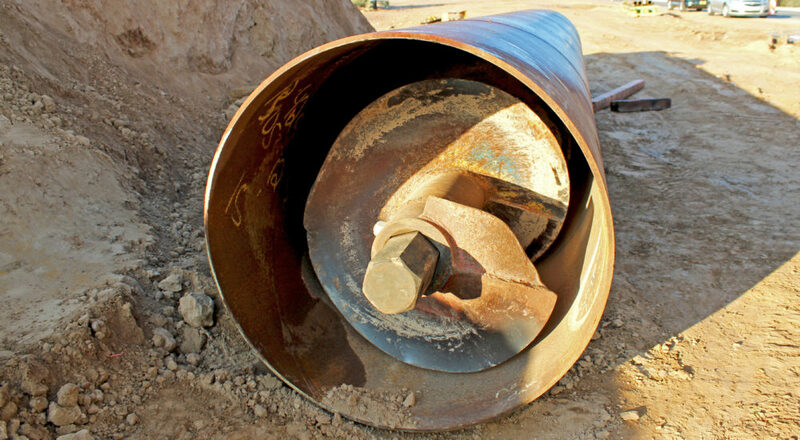 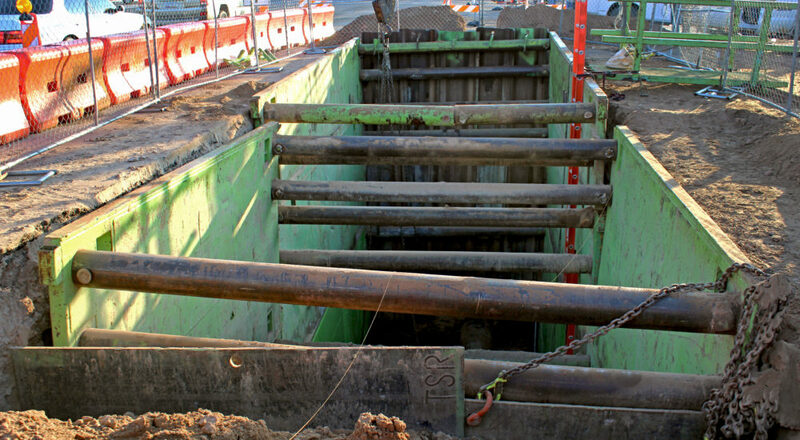 Currently being installed, 30″ steel casing will protect the sewer main at the intersection. 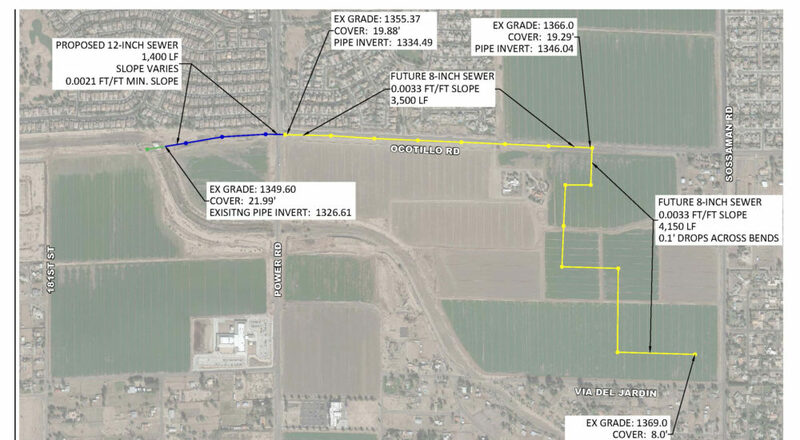 It will extend approximately 75 feet past the intersection to prepare the line for future expansion further east and south through surrounding farmland. 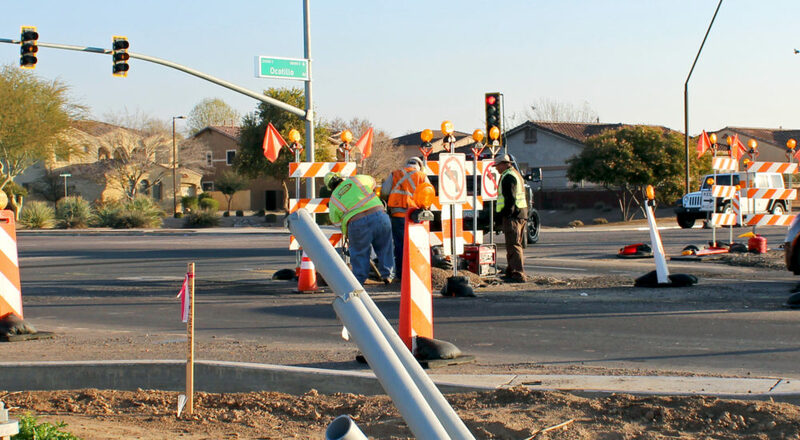 We evaluated the service area and required depths for the sewer main, identified an alignment to avoid existing and proposed utilities, identified an alignment to avoid existing and proposed utilities while maintaining manholes in a future travel lane for the ultimate street section, and coordinated with other consultants working on Power Road improvements.